Come to the State House to Celebrate Another Victory for Religious Freedom! Right on the heels of last week’s religious freedom victory over the Bathroom Law, the Speaker of the House of Representatives has given permission to celebrate Christmas at the State House with a Nativity Scene. 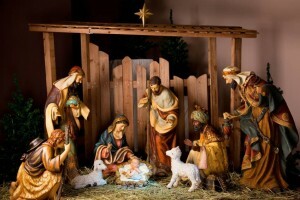 Initially the request for a Nativity Scene was refused with the standard “No Religious Events” answer, but thanks to the persistence of Representative Jim Lyons of Andover and attorney Bob Joyce of the Pro-Life Legal Defense Fund, along with a letter from attorney Tom Brejcha of the Thomas More Law Society reminding the bureaucrats of the First Amendment, permission was granted. Please join us at the State House Thursday, December 22 to celebrate this victory for religious freedom at A Celebration of Christmas on Beacon Hill. We will gathering in the Great Hall of the State House from 12 p.m. to 3 p.m., with a short speaking program set for 2 p.m. Light refreshments will be served. Copyright © 2019 Massachusetts Family Institute.